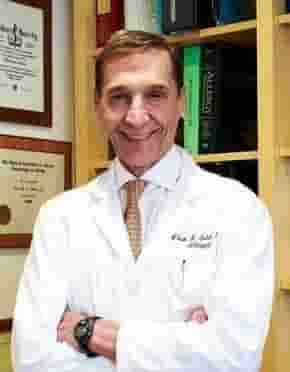 Dr William N Sokol is a board certified Internist (Northwestern) and Allergist (UCLA). He had completed his Undergraduate BA from Ohio State University (AED pre-Med honorary). Ohio State College of Medicine (Landacre research society award}.He later joined the clinical faculty of the division of Allergy in the University of California at Irvine immediately after his fellowship and at present he serves as Clinical Professor of Immunology and Allergy at University of California. where he give the basic Immunology lectures to Medical Students and supervise training of Allergy fellows, including guiding their research efforts. Dr William N Sokol fields of interest have included basic research on Beta- adrenergic cell membrane receptors which resulted in several papers which contributed in part to the refutation of the Beta -Blockade theory of the origin of asthma. Subsequent interests involved the descriptions of a several new causes of Occupational asthma and clinical research on bacterial sinusitis, asthma, rhinitis and several new causes of anaphylaxis. His recent work is on the description of a 30 Kd tropomyosin found in a type of grasshopper called "chapulines" which are commonly ingested in Mexico and the USA. This dietary peculiarity is causing allergic reactions including anaphylaxis in unsuspected patients with underlying crustacean HDM and cockroach allergy.